Low-level narrow-band light technology through the AllergyLight™ therapy device can effectively relieve ALL of these symptoms. Medications simply mask the problem, while light therapy technology can help you alleviate these chronic issues on a permanent basis. 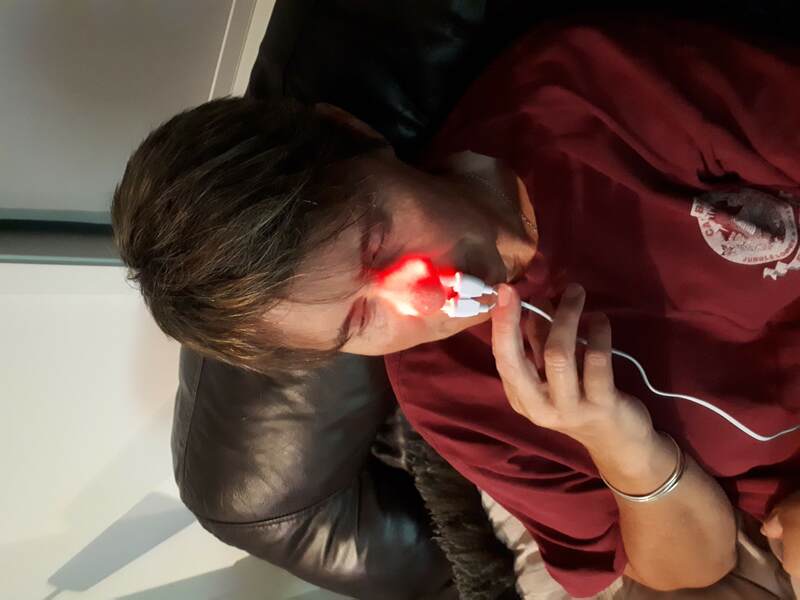 AllergyLight™ is a revolutionary medical device for personal use for the treatment of allergic rhinitis - (hay fever symptoms) using 630 nm red light. 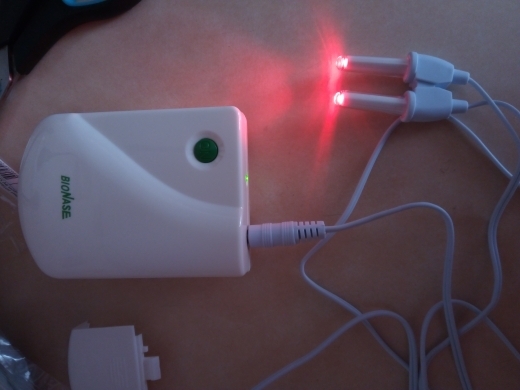 Based on the phototherapy principle of treatment with light energy, AllergyLight™ uses a visible light source of red light with a frequency of 630nm at a narrow band wavelength. This is the optimal wavelength to achieve the desired effect of treating allergic rhinitis symptoms. AllergyLight™ is completely safe and has no known side effects; it is drug free and thus does not limit the user in any way. As it is based on natural healing treatment, it has no effect on medications' effectiveness, and therefore can actually be used in conjunction with other medications. It can be used safely by both children and adults. Requires one 9-volt battery (NOT included). I thought this was a total scam at first LOL but I gave in and tried it... and it works! It did take about a month before I truly started seeing results, but I've seen a noticeable difference in my sinus congestion, sneezing, and runny nose symptoms from seasonal allergies. I was skeptical but was pleasantly surprised that my symptoms were reduced after a couple weeks of using this every day.